Through literature review, scientific modelling, experimental simulation and real-world testing, Working Group 4 has not only been able to establish a core set of guidelines and testing protocols, but has made the first steps towards viable solutions. In fact, two additional research projects have already engaged with researchers from this Working Group. The results have clear implications for both the design and creation of better, more comfortable headgear. Studies show that the current methods used by manufacturers to assess cooling capacity and thermal comfort include some parameters that are not relevant, and subjective feedback from wearers, which is not enough to effectively assess the effectiveness of different cooling methods. Working Group 4 has therefore provided the initial ideas to begin developing a standard for assessing cooling effectiveness. These standards will allow for accurate and consistent testing of products, and will help make thermal comfort a direct priority for manufacturers. It will also allow manufacturers to clearly, objectively and accurately inform customers about the cooling effectiveness of various helmet types. This will help influence buying decisions. In turn, standardisation of testing and modelling methodologies would allow legislators to regulate the production of helmets within the comfort-level boundaries necessary to encourage helmet usage among citizens. And, it will allow for comfort levels to be incorporated into legislation, along with safety standards. Of course, many factors contribute to the perceived comfort of helmets. Parameters like outdoor temperature, exposure duration, level of activity, clothing characteristics and the helmet materials and thermal properties all impact thermal comfort. 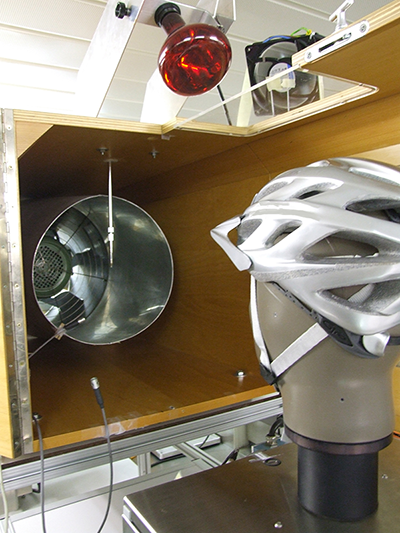 Taking all of these factors into account, Working Group 4 was able to develop a method for simulating, predicting and assessing thermal comfort in bicycle helmets. Further recommendations have been made to improve local head sweating models, the biophysical testing of a helmet’s thermal properties, and of course, human trials on head perspiration. The results of similar tests are already being used to evaluate thermal comfort in other body regions, as well, and can have implications for clothing and equipment development. Using the methods set forth from Working Group 4’s output, helmet manufacturers can create accurate models to simulate, test and assess the comfort levels of various helmet designs, and more quickly and accurately achieve better results in achieving more comfort for helmet wearers. For the first time ever, mathematical models of human physiology have been combined with a single body part manikin to establish a more accurate and complete evaluation of thermal comfort. In this way, comfort can be assessed under dynamic conditions, such as varying outdoor temperature, clothing and activity levels, and provide a coherent physiological control. This model performed well when predicting the overall physiological response under changing conditions. The advanced thermal manikin headform at Empa. 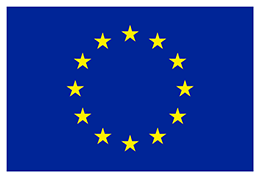 In a broad and multi-faceted investigation, a number of factors were addressed related to the reasons why bicyclists in Europe do not wish to wear a helmet. Chief among them were design, the problem of mussed or matted hair, the social perception of helmeted bicyclists, the lack of convenience involved in carrying and storing a helmet, the lack of thermal comfort, and increased heat/sweating. Although studies show that helmets do help keep cyclists warm in cold weather, the fact that helmets are not compatible with other clothing was a deterrent. Working Group 4’s investigation included an evaluation of bicycle helmets currently on the market. Several designs and helmet covers were tested for their ability to transfer and dissipate local heat accumulation. Using head manikins, a variety of testing scenarios resulted in data related to convective cooling (through proper air flow) and radiant shielding (protection from direct sunlight). The differences in convective heat loss were measured. The areas of the head most affected by radiant heat were determined, and the ways in which helmets can actually drastically increase heat loss were determined. To dig even more deeply into the possibilities, a group of design students developed various new and innovative helmet designs, attempting to surpass the thermal comfort capabilities of the helmets currently available. The designs were tested against factors like wind speed and the affect of hair on ventilation. In the end, the ability to customise helmets for specific user needs became the most effective solution. Some of the helmets designed in this experiment performed better in practically any condition, as compared to helmets currently on the market. 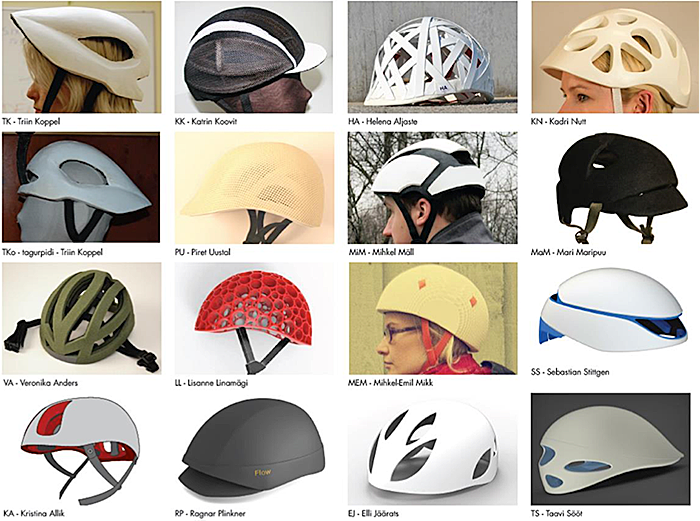 In more than half the cases, the new designs performed better than the best helmets currently on the market. However, more research is necessary to put these results into full context. It proved difficult to find a single new design that performed well in multiple factors. The best helmet design for sweat evaporation was not the same as the best helmet design for insulation. This indicates that bicyclists’ solutions must be defined by the user’s bicycling activity, weather conditions, speed of travel, etc. 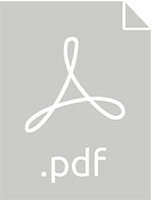 In addition, at this point in the investigation, the protective factor of the various designs was not taken into consideration, and could affect final designs. However, there was a clear indication that the new designs developed during the investigation could significantly improve helmet ventilation, as compared to helmets currently on the market.